If Aloha was the high point, this was undoubtedly the low point of Colonel Parker’s “exploitation” strategy (the Colonel’s somewhat old-fashioned word for promotion). 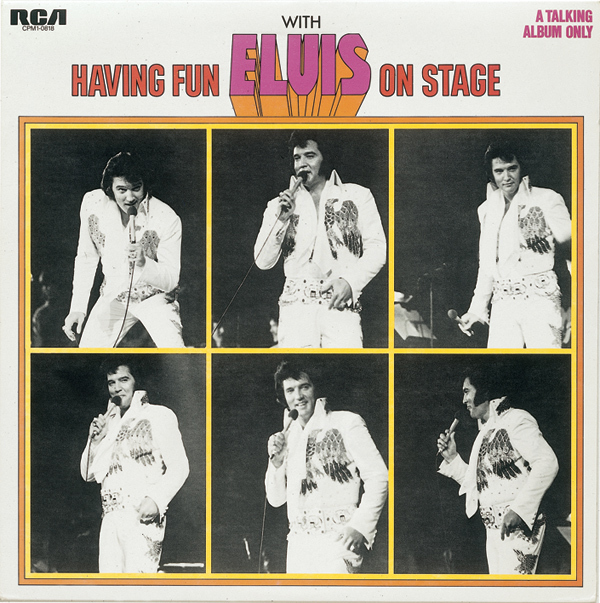 A “spoken word” album that consisted solely of snippets of Elvis speaking unguardedly on stage in Vegas, with some of the snippets exceedingly unguarded. It was first released on Parker’s own Boxcar label, then offered to the general public by RCA, much like the Elvis Sails interview-and-sound-effects EP in 1958. The only thing more bizarre than its release were its sales. Over 100,000.